Huskies have specific dietary requirements, which means feeding your Husky calls for a specific formula. For younger Huskies, there is Nulo Freestyle Limited Plus, a grain-free dry formula intended for puppies and small breeds. 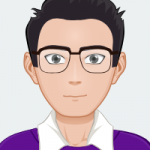 Those searching for a formula for grown Huskies should give careful consideration to Adult Health Anchovy and Sardine and Salmon Meals from Holistic Select. We’ll be examining both recipes, along with a number of alternatives, in this look at the best dog/puppy food for Huskies. 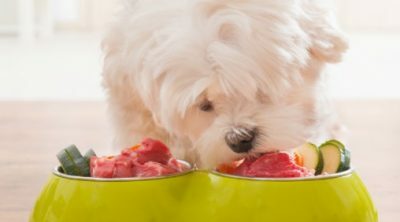 When searching for the best dog/puppy food for Huskies, you should avoid going with the generic dog food formulas available in grocery stores as such recipes generally fail to provide the nutrients needed for a juvenile Husky to develop and a grown Husky to maintain its muscle mass. In the below buyer’s guide we’ll be detailing some of the things to keep in mind when shopping for a reliable formula for your husky. As sled dogs, Huskies are a particularly active breed, so it’s imperative that you feed your Husky a formula with a high calorie count. The average adult Husky can put away a staggering 10,000 calories in a single day, far in excess of the 1,500 calories most other dogs consume on a daily basis. Of course, that doesn’t mean that you should be feeding your Husky 10,000 calories daily. Experts recommend adult Huskies consume somewhere between 2,000 and 7,000 calories per day, spread out across three meals to combat bloat. Visual impairments, such as cataracts, are often reported in older Huskies, which is why you should be sure to go with a formula that is high in omega 3 fatty acids, which preserve eyesight in dogs. 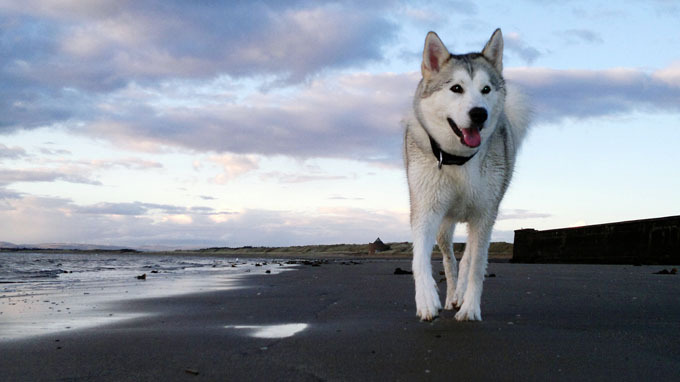 Omega 3 fatty acids are also beneficial as they fight inflammation and will keep your Husky’s coat shining bright. 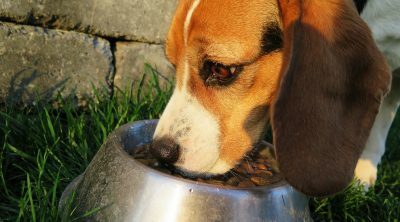 The benefits of omega 3 fatty acids in dog food are explored in greater detail in the video below. Husky pups, just like juveniles of any breed, require a smaller kibble than their adult counterparts. Feed a Husky puppy a formula intended for full-grown Huskies and they will likely have trouble chewing and swallowing. 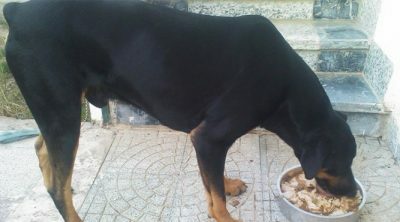 Feeding an adult Husky a puppy formula is similarly ill-advised as the size of the kibble (or lack thereof) will prevent the dog’s jaws from developing. 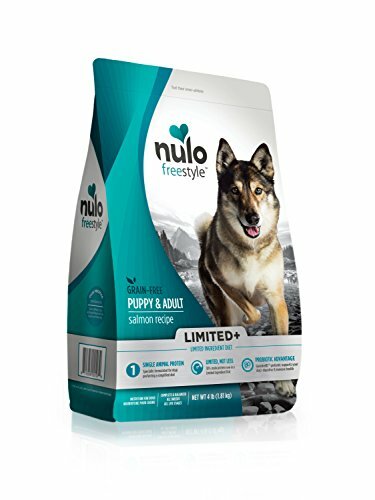 Nulo Freestyle Limited Plus is unique in that it is intended for both puppies and adults, so you could conceivably feed your Husky on this formula its entire life. As its name suggests, this formula uses a limited number of ingredients, which drastically reduces the risk of your Husky’s digestive system being thrown off by food sensitivities. Its single animal-based protein source is complimented by a patented probiotic, which boasts the distinction of being the first of its kind to survive the cooking process. Nulo Freestyle Limited Plus contains no chicken, corn, soy, peas or eggs, and so is extremely unlikely to aggravate allergies. It is available in three different sizes and an equal number of flavors and has the added advantage of being manufactured in the United States. Because of its unique formula, Nulo Freestyle Limited Plus goes for quite a bit higher than many other Husky foods on the market. A single 22-pound bag of Nulo Freestyle Limited Plus will set you back upwards of $70, which may render it a complete impossibility if you are trying to feed your four-legged friend on a budget. 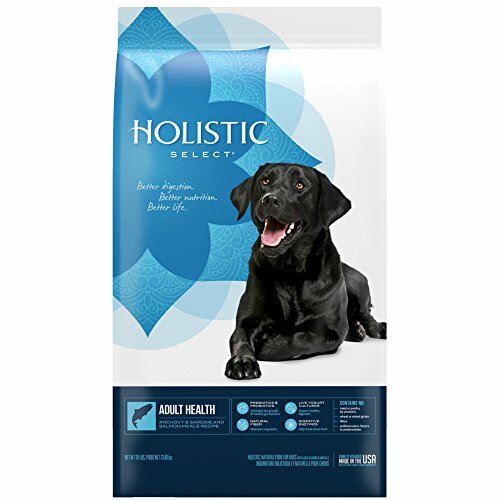 Holistic Select favors the natural route when it comes to the manufacturing of its dog food, which is why the brand’s Adult Health Anchovy and Sardine and Salmon Meals formula comes devoid of all artificial flavors and colors. It is similarly free of wheat and animal by-products, deriving its protein from real anchovies, sardines, and salmon. The presence of digestive enzymes in this formula helps to break down protein, starch, and cellulose. 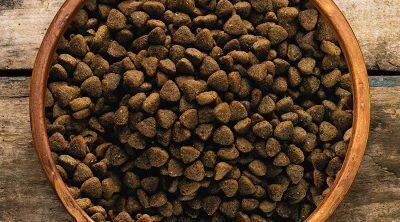 Meanwhile, natural fiber combats bloating and constipation, ensuring your dog remains regular. Omega-3 fatty acids derived from flaxseed and fish oil add a shine to your dog’s coat while enhancing and preserving its eyesight. Much like Nulo Freestyle Limited Plus, Holistic Select Adult Health Anchovy and Sardine and Salmon Meals is manufactured in America, which means health and safety standards are more strictly adhered to than they are in Asian countries, where many subpar dog foods are produced. Furthering the similarities between this offering from Holistic Select and Nulo Freestyle Limited Plus is the high price tag of this formula. While it will not cost you as much as its previously examined alternative, Holistic Select Adult Health Anchovy and Sardine and Salmon Meals will cost you in or around $60 for a 30-pound bag. It should also be noted that many Husky owners who have tried this formula have reported it giving off an unpleasant odor, so you may want to avoid leaving it out for long periods of time. Blue Buffalo Basics Limited Duck & Potato uses a limited recipe from which it takes its name. Blue Buffalo Basics Limited Duck & Potato boasts single-source animal protein, which it derives from real pieces of deboned duck. 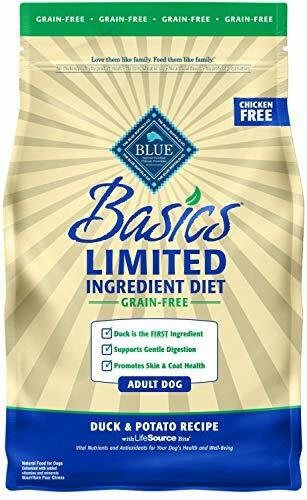 Blue Buffalo avoided using chicken in the manufacturing of this food, as it did corn, wheat, soy, dairy, and beef, which means the chances of digestive troubles are slim to none. This formula also features zero artificial flavors and colors. What it does feature are Blue Buffalo’s unique “Lifesource Bits,” a blend of vitamins, antioxidants, and minerals designed to improve your dog’s immune system. Meanwhile, a healthy balance of omega 3 and omega 6 fatty acids serve to keep your Husky’s skin and coat in pristine condition. A high price tag is a common feature of many Husky foods and Blue Buffalo Basics Limited Duck & Potato is no different. Owners who choose to feed their Huskies this formula should be prepared to drop close to $60 – maybe even a little more – for a 22-pound bag. Although potato certainly has some benefit to dogs, it is generally best avoided as carbohydrates, in extreme cases, can cause diabetes, obesity, arthritis, and even cancer in dogs. If you’re searching for a formula that was intended for puppies alone, you’re going to want to pay careful attention to this offering from the good folks over at Merrick. 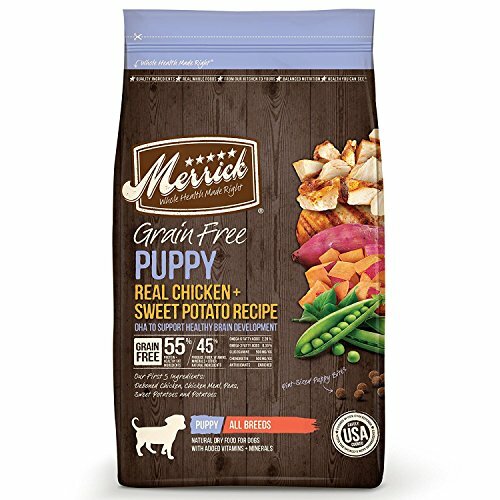 Merrick Puppy Real Chicken and Sweet Potato takes its name from the real deboned chicken which serves as its primary ingredient. This chicken is complemented by the presence of chicken meal, which further increases this formula’s protein content. This is a grain-free formula and so can be easily digested by small and large breed puppies alike. To aid your puppy’s cognitive development, Merrick Puppy Real Chicken and Sweet Potato comes loaded with DHA, an omega 3 fatty acid which also improves the development and performance of the eyes. Much like Buffalo Basics Limited Duck & Potato, Merrick Puppy Real Chicken and Sweet Potato is high in carbohydrates, which puts it at a significant disadvantage. We hate to sound like a broken record here, but those who feel Merrick Puppy Real Chicken and Sweet Potato is the right formula for their puppy will have to resign themselves to dropping some serious cash. A 25-pound bag of this formula will set you back upwards of $70. It is also important to remember that chicken can aggravate allergies in some dogs, which is particularly problematic with puppies as those allergies are more likely to be undiagnosed. Providing a change to the previous two formulas comes this offering from Weruva. Weruva Caloric Harmony Chicken Dinner with Pumpkin features no potato, reducing the risk of diabetes, obesity, and other health issues linked to carbohydrates. The cage-free chicken which acts as the primary source of protein in this recipe is free of all genetically modified materials, as are all other ingredients present in this formula. Similarly, this recipe is free of soy, wheat and corn. The pumpkin which makes up the latter half of the product’s name serves to improve digestion and combat bloat. 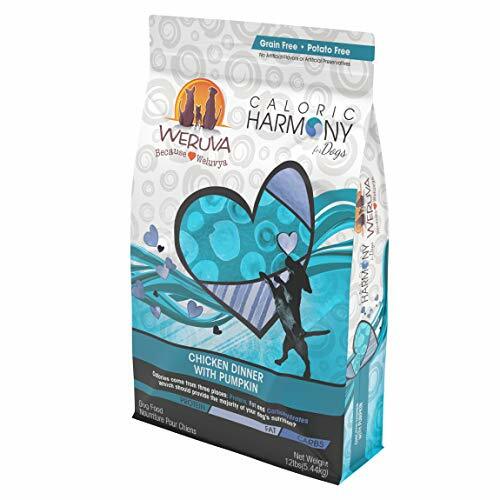 Like all Weruva formulas, Caloric Harmony Chicken Dinner with Pumpkin features salmon oil and linoleic acid to keep your Husky’s coat thick and shining. As is made obvious by its name, Weruva Caloric Harmony Chicken Dinner with Pumpkin features chicken as its primary ingredient. While chicken is certainly a great source of protein, it may upset your Husky’s stomach, which is why you should keep a close eye on your dog in the days and weeks after switching to this formula. Similarly, the presence of eggs in this recipe may aggravate allergies in your dog. 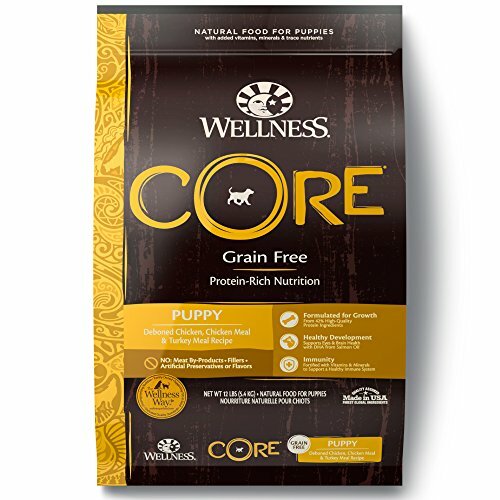 For those hoping to keep spending to a minimum when shopping for the best dog/puppy food for Huskies, there is Wellness Core Puppy Deboned Chicken, Chicken Meal, and Turkey Meal. Although it isn’t exactly inexpensive, this formula is more than affordable when compared to most other recipes featured in this article, with a 26-pound bag available for just over $50. As well as boasting a grain-free recipe, Wellness Core Puppy Deboned Chicken, Chicken Meal, and Turkey Meal contains no wheat, soy, or meat by-products. It is also free of artificial flavors and colors. Designed specifically for puppies, this formula is rich in DHA for brain development and is similarly high in omega fatty acids to ensure your Husky’s coat comes in full and glowing. Many dog owners who have purchased this formula have reported the kibble being a little on the large size. 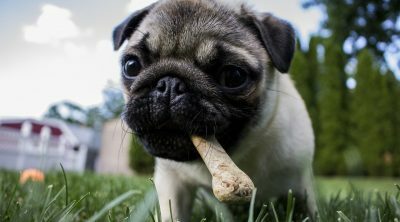 While this won’t be a problem if your puppy is nearing adulthood, it may be cause for concern if you’re raising a particularly young puppy. 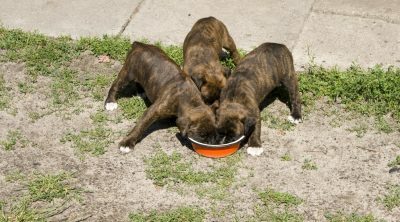 While we’re not going to tell you to avoid this formula because of the size of the kibble, we do suggest that you keep an eye on your puppy during the first couple of feeding sessions if you choose it. During the first few months of your Husky’s life, you need to be very careful about what you feed them in order to avoid aggravating any allergies which are yet to be diagnosed. For that reason, we often suggest owners of Husky pups go with Nulo Freestyle Limited Plus, which prides itself on its limited recipe and single-source animal protein. Despite its simplicity, this formula has the distinction of containing the first ever probiotic to survive the cooking process, so those who choose Nulo Freestyle Limited Plus can be certain they are feeding their dog a formula designed by an undeniable expert. If you’re filling the bowl of an older dog, we recommend going with Holistic Select Adult Health Anchovy and Sardine and Salmon Meals. Absolutely bursting with omega fatty acids, this formula is virtually guaranteed to maintain your dog’s vision while keeping that famous Husky coat looking its best. Meanwhile, a combination of digestive enzymes and natural fiber ensure your four-legged friend remains regular even in old age, where digestive issues commonly begin to present themselves.